How to dominate Facebook Live to empower your brand and digital platforms. THE MOST POWERFUL FACEBOOK TOOL: FACEBOOK LIVE! Are you exhausted from working hard on your Social Media platforms and nobody seems to discover your content? Even worst, are you going LIVE on Facebook but nobody shows up? If this is your case, THIS COURSE IS PERFECT FOR YOU! On this Facebook Live Masterclass you will find a powerful and effective strategy that will allow you to crack the livestream code! Facebook LIVE is the most powerful tool to empower your brand and build a close relationship with your audience and from there grow your brand's presence and reach in the Digital Market. The founder of this Facebook LIVE MASTERCLASS is Vero Castagno, who quickly became a leader in Livestreams with her platform VeroSweetHobby. She has successfully used Facebook Live to grow all her platforms from 0 followers to over 100,000 in just a few months. A stunning growth achieved thanks to the strategies she uses on her Facebook Lives every week to strengthen the power of her brand. This course has ALL THE STEPS AND STRATEGIES that Veronica uses every week! You will lean how to plan efficient LIVESTREAMS with a detailed step by step plan that will allow you use your live streams professionally and immediately. THIS IS AN EXCLUSIVE COURSE where you will get all the information you need to dominate Facebook Live that you can't find anywhere else! If you are ready to grow your platforms and audience's engagement with your brand this course is definitely perfect for you! At the end of this MASTERCLASS you would know exactly what are the steps you need to take in order to make professional and efficient Facebook Lives. You will acquire all the skills needed to grow your brand and reach using the most powerful tool Facebook has to offer: live streams. - 40 minute video with the steps needed to master Facebook Live, examples, fill in the blanks pages. PDF with presentation of everything Veronica explains in the video. Step by step strategy to master Facebook Live: Check list. Why is it important to do Facebook Live? Real analytics and numbers to show what happens after you make a professional Facebook Live. How to efficiently upload your video after you are done Live. What's a livestream post-production? 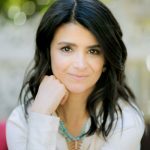 Veronica is a 15 times Telly Award winner who has worked with top tier television Networks and productions in USA, Europe and Argentina for over 18 years. Founder and President of Pro X Productions; a video productions company based in California that provides services to television channels like Fox International Channels. Creative Director and Executive Producer who has directed countless campaigns for television shows in the most important international television networks in the US such as Fox Sports, Fox Soccer Channel, Fox Hispanic Media, Fox International Channels, LAPTV, Cinecanal, Movie City, The Film Zone and MundoFox among others. Creative Director and host of her own television show that aired on Fox Sports en Español. Produced launches and campaigns for brands, broadcast design, Upfront Sales Presentations and commercials. In 2014, with the rise of digital empires, the television industry changed forever and Veronica decided to reinvent herself and jumped into exploring video production for digital platforms. She spent a year attending world class social media conferences, courses and panels and in 2016 she launches VeroSweetHobby. With a stunning growth of over 6000% in just a few months and going from 0 followers to over 100.000, Veronica quickly become a leader and authority on Facebook Lives. With such an awe-inspiring growth, she moved from assisting conferences to speaking on many of them. 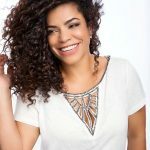 She has been featured in several USA outlets such as: Univision, Piccolo Universe ( Ricky Martin' parenting site), We All Grow Latina, Latina Moms and Hispana Global. THIS IS THE STRATEGY YOU WERE LOOKING FOR TO LAUNCH YOUR LIVE VIDEOS IN A EFFECTIVELY AND IMMEDIATELY! THIS COURSE IS AVAILABLE NOW! PRESS THE BUTTON TO BUY IT AND I'LLSEE YOU INSIDE MY FACEBOOK LIVE MASTERCLASS! Vero's Facebook Live workshop was FANTASTIC. She is a genius who has perfected the skill of creating Live content thanks to a LOT of practice and you can tell! It's worked wonders for her! I liked how she gave us real-life examples and also showed us how to put ourselves in the audience perspective. Even if you don't do food-related videos, she has some very good points on how to excel at producing Live content and getting that content to help you grow your online presence. I enjoyed her workshop and her personality- she's magnetic - and I look forward to growing my brand as much as she has thanks to all the good points she made. I’ve been a video content creator for years and even though I feel pretty confident on camera, I was terrified to do Live Streams. Vero not only gave me the extra motivation I needed but also gave me the tools to do it right from day 1. 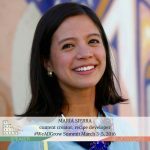 On her workshop, she digs deep into the true functionalities of Facebook Live, gives proven strategies to create visual content while growing traffic to our Pages using LIVES, she teaches what is the language to use that works, how frequently we should do it, how to grow our interaction with our audience and even what equipment we should get. The results are immediate, the first week I started applying what I learned on Vero’s class I saw incredible results and growth. These strategies can also be used on any live videos on any other platform: Instagram, YouTube, any platform that allows us to go LIVE. I really like her workshop, because you leave the room energized and with the proven tools you need to succeed and shine in the up and coming world of LIVE streams.